Israeli rights group Yesh Din submitted a complaint to Israeli civil authorities on behalf of Palestinian landowners, claiming that they own four plots of land allocated for the building of alternative housing for residents of the soon-to-be demolished Israeli settler outpost of Amona, Israeli media reported on Tuesday. According to Israeli media outlet Ynet, the complaint states that the land belongs to Palestinian residents of Silwad, who are protected in accordance with the Supreme Court ruling on Amona stating that the settler outpost would be demolished owing to its location on privately held Palestinian land. The Israeli government began constructing new homes for Amona residents last week, Ynet reported, as part of an agreement with the residents and the Israeli government to provide alternative housing to the settlers. “Once the plots were announced, landowners had 96 hours to petition the location of the designated land in the case that they were, in fact,on private Palestinian land,” Ynet added in their report. Last month, the Israeli Supreme Court accepted the Israeli government’s request to postpone the evacuation of Amona until Feb. 8 in order to to give additional time for the Israeli government to provide alternative housing for its residents. 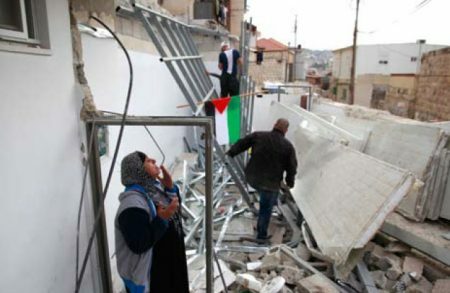 Haaretz reported at the time that the government plan would see the majority of them relocated to a nearby hilltop to lease, claiming that the property had been abandoned by its Palestinian owners. 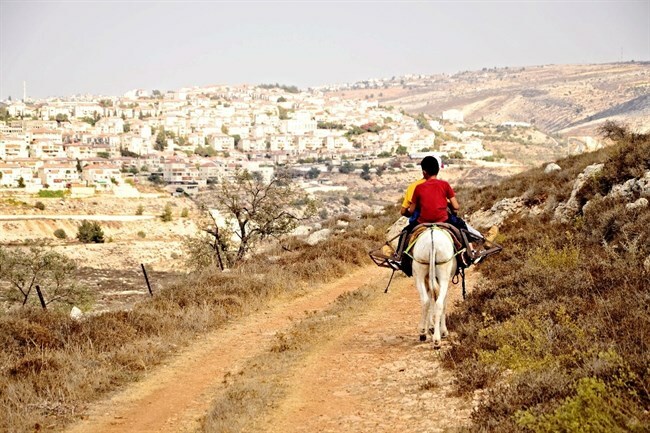 "After 20 years of pioneering settlement, and against all odds, and after two years of struggle, we have decided to suspend our struggle, and take the government's offer to build 52 houses and public buildings in new Amona," Ynet quoted the Amona settlers as saying at the time. Israeli rights group Yesh Din announced last month that it had filed an appeal on behalf of a Palestinian who claimed to own the land the settlers had been allocated, emphasizing the land in fact has not been abandoned, while there was evidence supporting a number of other claims to land earmarked for the Amona settlers, in the Palestinian villages of Silwad, Ein Yabrud, and other neighboring towns. 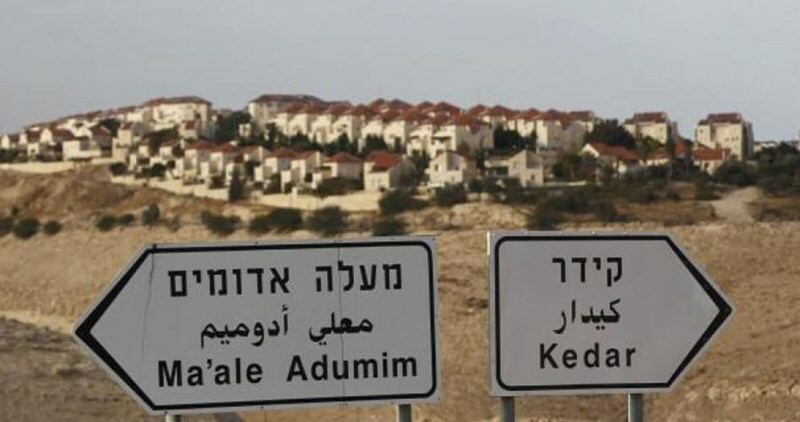 Mayor of Silwad Abd al-Rahman Salih told Ma’an last month that the municipal council had already been notified by Israeli authorities of plans to confiscate the privately-owned land in the town's outskirts. "Israel claims the new land slated for confiscation has been deserted by its owners who live abroad," the mayor said. “We have all the documents to prove that the land is a private property of the town, known locally as Hawd Shbeikat. But this (Israeli) government brushes aside even the decisions of the Israeli Supreme Court." The Israeli parliament, the Knesset, passed a controversial bill on Tuesday that would allow verdicts from military court proceedings in the occupied West Bank to be submitted as evidence in Israeli civilian courts, a move which critics claim is another step aiming to illegally annex the West Bank by applying Israeli domestic laws in the territory. During a debate over the bill -- proposed by MK Anat Berko from the ruling Likud party -- opposition MKs argued that the bill constitutes an extension of the Israeli occupation and the government's control over the West Bank, Israeli newspaper Haaretz reported. Previously, Israeli military rule, which Palestinians in the West Bank are subjected to, was separate from any civil legal proceedings inside Israel. The new bill would act to synchronize these formerly distinct systems and allow Israeli civilians to use verdicts made in the military courts for civilian cases against Palestinians. Berko reportedly argued in the Knesset debate that the law would “make it easier for victims of terror to demand compensation from convicted terrorists in civilian courts since they will not have to begin the legal process from zero, rather can base on evidence already produced in military courts." However, Israeli criminal convictions are part of the country’s domestic law, which governs Israeli citizens, while Palestinians are under the Israeli military's jurisdiction, which is separate from any civilian legal proceedings in Israel. “Call the child by its real name and don't stand for a laundry of words - we're talking about a creeping annexation,” he added. 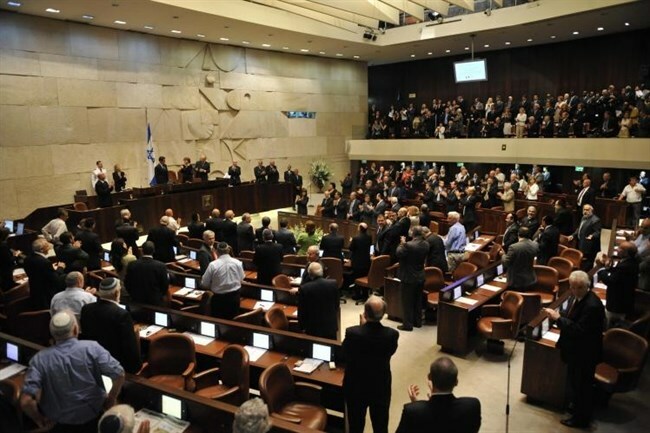 The legislation passed its first reading in the Knesset, but still needs to pass its second and third readings to become law. However, it is believed that the controversial bill has been strategically stalled until President-elect Donald Trump is official sworn in as president of the United States, as he has come out as a vocal supporter of Israel's illegal settlement policy. Paris Peace Conference ended Sunday evening with a declaration that a two-state solution was the only path to peace for Israel and Palestine. French Foreign Minister Jean-Marc Ayrault stressed during the press conference following the Peace Conference the importance of the international community role for a just, lasting and comprehensive resolution of the Israeli-Palestinian conflict. He emphasized the importance for the parties to restate their commitment to this solution, to take urgent steps in order to reverse the current negative trends on the ground, including continued acts of violence and ongoing settlement activity, and to start meaningful direct negotiations. He reiterated that a negotiated two-state solution should meet the legitimate aspirations of both sides, including the Palestinians’ right to statehood and sovereignty, fully end the occupation that began in 1967, satisfy Israel’s security needs and resolve all permanent status issues on the basis of United Nations Security Council resolutions 242 (1967) and 338 (1973), and also relevant Security Council resolutions. The Participants highlighted the potential for security, stability and prosperity for both parties that could result from a peace agreement. They expressed their readiness to exert necessary efforts toward the achievement of the two-state solution and to contribute substantially to arrangements for ensuring the sustainability of a negotiated peace agreement, in particular in the areas of political and economic incentives, the consolidation of Palestinian state capacities, and civil society dialogue, according to his statements. However, the concluding statement avoided to condemn US President-elect Donald Trump’s decision to move the US embassy in Israel from Tel Aviv to occupied Jerusalem. Paris international conference to revive the Palestinian-Israeli settlement process kicked off in Paris on Sunday with the participation of foreign ministers and representatives from 70 countries with the absence of representatives of both of the concerned parties. According to the French foreign minister, Jean-Marc Ayrault, the two-state solution is the only solution to solve the Middle East crisis, and added that the international community should bear the responsibility of bringing the Palestinian and the Israeli parties back at the negotiation table. The conference aims at convincing the international community of adopting the two-state solution, push the Palestinian and the Israeli parties back to the negotiation table, and developing a practical plan for the future, Ayrault pointed out. This conference is being held under the shadows of doubt regarding the policies to be pursued by the United States president-elect, Donald Trump after a he assumes his post with the next few days. By organizing such a huge conference, the French diplomacy has achieved a remarkable achievement, Al Jazeera said, but added that it would not result in a magic solution for peace between the Israelis and the Palestinians. The American stand at the UN, which did not veto the Security Council resolution against Israeli settlements in the occupied Palestinian territories, had facilitated the conference’s final draft, which was amended five times during the past few days, according to diplomatic sources. The draft urged the Palestinians and Israel to re-affirm their commitment to the two-state solution and warned them of taking unilateral decisions. For his part, Benjamin Netanyahu, Prime Minister of Israel, kept criticizing the conference and described it as useless. Netanyahu said during the weekly cabinet meeting on Sunday that the conference, which is being held in Paris, is useless since it was coordinated by the French and the Palestinians to impose conditions that are not compatible to Israel’s national needs. Netanyahu pointed out that the conference hinders the peace process because it pushes the Palestinians away from direct negotiations with no preconditions. “This conference is an example for the people of yesterday. Tomorrow is soon and different,” Netanyahu added while refereeing to the policies of Donald Trump. Netanyahu has already renounced the conference as a deceptive Palestinian move with French patronage. For his part, the central committee member of the Palestinian Fatah Movement Mohammad Shtayyeh said that the success of the conference depends on forming a follow up committee and agreeing on a time frame to on ending the occupation. He also called on France to recognize the state of Palestine on the 1967 borders so as to serve as a model for other European countries.